Colors in actual ad are much sharper and clearer than image shows. Image is of actual item being offered. 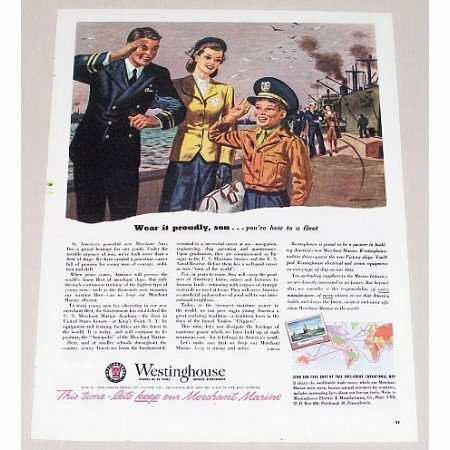 SEARCHING FOR MORE VINTAGE WARTIME ADS? Many companies used wartime related themes to advertise their products. Simply visit my storefront and perform a keyword search using the term "wartime" to bring up all wartime related ads listed in all categories.